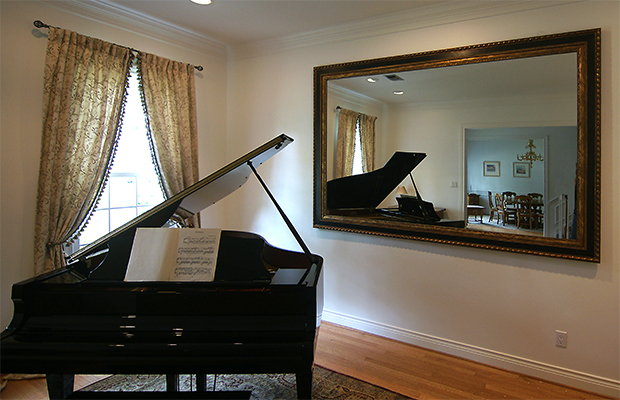 Texas Custom Mirrors designed and built a large oversized mirror for a living room in Houston, Texas. This large framed mirror measured 95″ inches by 70″ inches. This was a double framed mirror and two matching frames were selected to give a larger look to this mirror. This framed mirror matched the furniture and decor style perfectly. 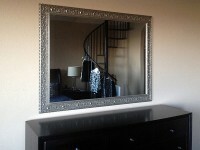 Texas Custom Mirrors offers appointments in Texas and went to the customers home for measuring. Later, after the mirror was built, it was delivered and installed by our professional installers. We build the most beautiful living room mirrors anywhere with hundreds of frame samples. We are very creative and can handle any project.